Dr. Adam Gazzaley obtained an M.D. and a Ph.D. in Neuroscience at the Mount Sinai School of Medicine in New York, completed clinical residency in Neurology at the University of Pennsylvania, and postdoctoral training in cognitive neuroscience at UC Berkeley. He is the founding director of the Neuroscience Imaging Center at the UC San Francisco, an Associate Professor in Neurology, Physiology and Psychiatry, and Principal Investigator of a cognitive neuroscience laboratory. His laboratory studies neural mechanisms of perception, attention and memory, with an emphasis on the impact of distraction and multitasking on these abilities. His unique research approach utilizes a powerful combination of human neurophysiological tools, including functional magnetic resonance imaging (fMRI), electroencephalography (EEG) and transcranial magnetic and electrical stimulation (TMS & TES). A major accomplishment of his research has been to expand our understanding of alterations in the aging brain that lead to cognitive decline. His most recent studies explore how we can enhance our cognitive abilities via engagement with custom-designed video games, and how this can be bolstered by closed loop systems using neurofeedback and TES. 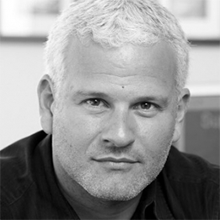 Dr. Gazzaley has authored over 95 scientific articles, delivered over 350 invited presentations around the world, and his research and perspectives have been consistently profiled in high-impact media, such as The New York Times, New Yorker, Wall Street Journal, TIME, Discover, Wired, PBS, NPR, CNN and NBC Nightly News. Recently, he wrote and hosted the nationally televised, PBS-sponsored special “The Distracted Mind with Dr. Adam Gazzaley”.